“I hate Fridays!” said no one ever. For those looking forward to the end of the work week, Fridays are a beautiful thing. But, the most beautiful Friday of all time occurred 2,000 years ago on a hill called Calvary. It was there that Jesus displayed the love of God as He willingly gave His life as an atonement for our sin. That Friday was like no other. That was a beautiful Friday. That was Good Friday! But the story didn’t end there. By Sunday everything would change. Death could not hold our Savior and King. Jesus rose victorious! This Good Friday, we invite you to join us at Farming 4 Hunger’s Life Sharing Center, at Serenity Farm in Benedict, MD. We will gather together for a time of worship and communion as we remember the great sacrifice of Jesus Christ. The service begins at 7 pm and will be held indoors. Seating is provided. ** Due to the weather forecast, we have to CANCEL the Good Friday worship service. 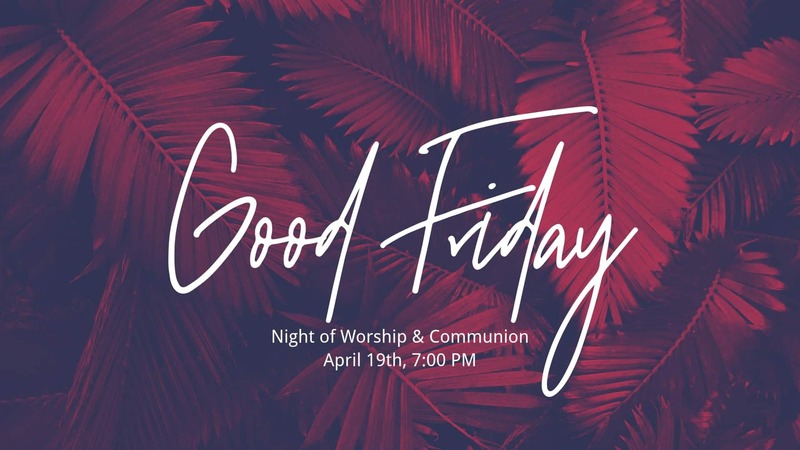 We are super bummed about it and we were so looking forward to a wonderful night of worship, communion, and fellowship. With that being said, we want to reschedule with a similar event in the near future. Be safe and God Bless!